All resolutions placed before the annual general meeting (AGM) of shareholders were passed with requisite majority, a Tata Sons source said. Tata Trusts holds 66 per cent stake in Tata Sons. Mumbai: Tata Sons, the promoter of the $105 billion cars-to-software group, today won shareholders' nod to convert itself into a private limited company, limiting in effect Cyrus Mistry family's ability to sell their stake to outsiders. A resolution placed before the AGM pertained to changing the closely-held company's registration to a private limited firm as opposed to a public one. The Mistry family, which owns 18.4 per cent of Tata Sons, had called the move "oppression of the minority interests" and stated that it would vote against the proposal. The voting pattern was not immediately known. At least 75 per cent of shareholders' nod was required for the proposal to go through. The move comes almost a year after Mistry was ousted as chairman of the Tata Group, triggering a bitter boardroom battle. N Chandrasekaran was appointed Chairman in January this year. A public limited company allows shareholders to legally sell their stake to anyone. But a shareholder of a private limited firm cannot sell the shares to outside investors. In a notice to its shareholders, Tata Sons' board had sought approval through special resolutions to amend its article of associations to bring about the change. 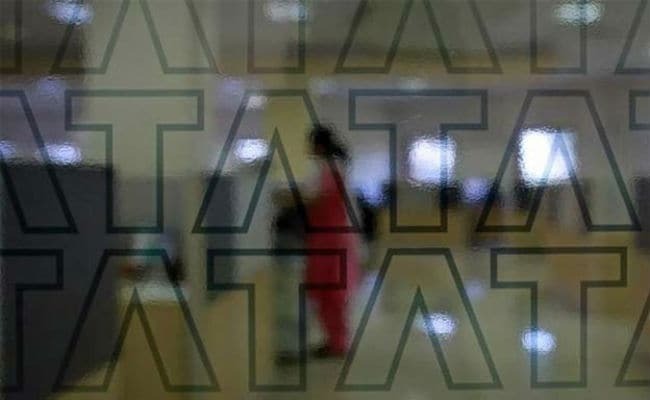 It has also sought to amend the memorandum of association to change its name to Tata Sons Pvt Ltd from Tata Sons Ltd.
Last week, a Tata Sons spokesperson had stated: "The reinstatement of Tata Sons as a private company was considered by the board to be in the best interest of the company." The switch, according to Tata Sons, is chiefly because its status of 'deemed public company' is not statutorily recognised under the Companies Act, 2013. In a letter to the board of directors of Tata Sons last week, Cyrus Investments Pvt Ltd had described the step as "another act of oppression of the minority shareholders of Tata Sons at the hands of majority shareholders". "The real motive behind convening the proposed AGM is malafide and for ulterior purposes and the proposed resolutions are not in the interest of Tata Sons as a whole or at all," the letter had alleged. Cyrus Investments Pvt Ltd and Sterling Investments Corporation of the Mistry family are fighting a legal battle against Tata Sons at the National Company Law Tribunal (NCLT) following Mistry's dismissal as chairman last year. "Given the nature of grievances already raised and relief sought in the NCLT petition, the timing and issuance of the AGM is a subversion of the judicial process," the letter had stated. The move to convert Tata Sons into a private limited company would put restrictions on "free transferability" of shares of the company and is "yet another attempt by the majority shareholders to oppress minority shareholders", it added. The letter to the Tata Sons board had further alleged that the shift is a device to "subvert the highest standards of good corporate governance, which is expected to be maintained in a company of the stature and repute as Tata Sons".